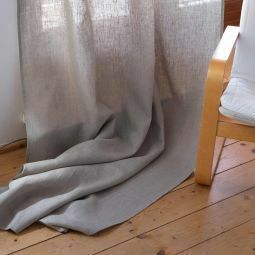 Linen curtains create a special and comfortable atmosphere in every house. 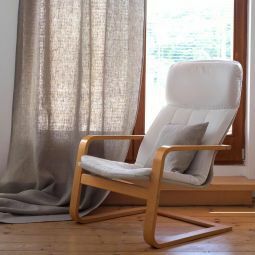 Linen curtains require neither special décor nor additional elements or complex cut. 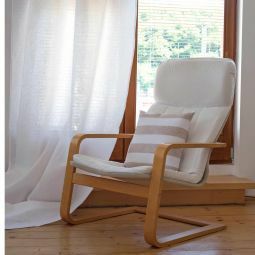 They captivate by luxury naturalness and nobility. 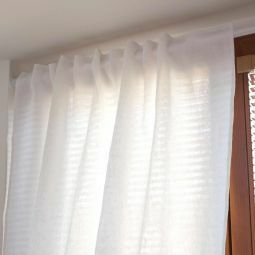 White linen curtains will be perfect for any space and home décor; they suit both modern minimalism and landhouse styles.Natural linen curtains do not fade in the sun; besides, linen fabric has antistatic properties, so dust stays out of the drapes.